CuePrompter is a free online teleprompter. Write or cut and paste your script in the teleprompter window. You can change the font size, colors and prompter window. This summer while attending ISTE, I learned about a cool new game for the classroom called Breakout EDU. Here’s a short video about it. Since receiving my kit, I’ve played it four times–twice with my college students and twice with fifth graders. All ages loved it. For the fifth grade game, I used an adaptation of two of the games on the site (http://www.breakoutedu.com/). The game centered around missing iPads, and students had to use their knowledge of place value to decode the clues to find them. There are many games already pre-made to use with the kits (for free) and I enjoy making them up too. I’m looking forward to playing with some first graders on Halloween! Do you have a cell phone or iPad? Do your students have limited access to online devices? Then Plickers might be for you! 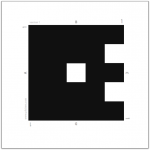 Plickers is a simple tool that lets teachers collect real-time formative assessment data without the need for student devices. Setting Up Plickers is Easy! Step 1: Teacher downloads the Plickers mobile app. It is free for both iOSand Android – find them on the App Store and on Google Play. It will work on iPads too (just make sure to search for iPhone app)! 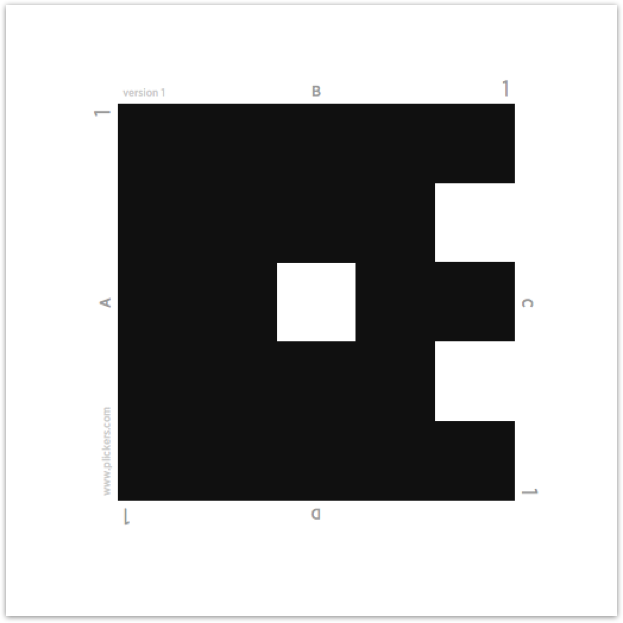 Step 2: Print Plickers cards. Step 3: Set up Classes on Plickers Website. Step 4: Add Questions on the Plickers Website. Step 5: On the mobile app, choose the question you want to use. Step 6: Have students hold up cards with the correct answer facing right-side up. Scan the room with your phone/iPad. Step 7: Use LiveView Tab on the Website to display results to students. Step 8: Use Scoresheet under Reports on the Website to monitor student progress, save time on grading, and run detailed reports. How will you use Plickers in your classroom? I can’t wait to hear about it! Dec.8-14 is Computer Science Education Week. Celebrate by participating in the Hour of Code! It’s free and easy! Check out this explanation of a Makerspace! You can learn more about the GCAA Makerspace on their blog: http://gcaamakerspace.wordpress.com/. Love this explanation of Augmented Reality, specifically with Aurasma! Learn more about Aurasma here.